“The recent scare due to the detection of formalin-laced fish across Goa, Kerala, Assam, Manipur, Nagaland and Meghalaya points to a link between water quality and food safety. 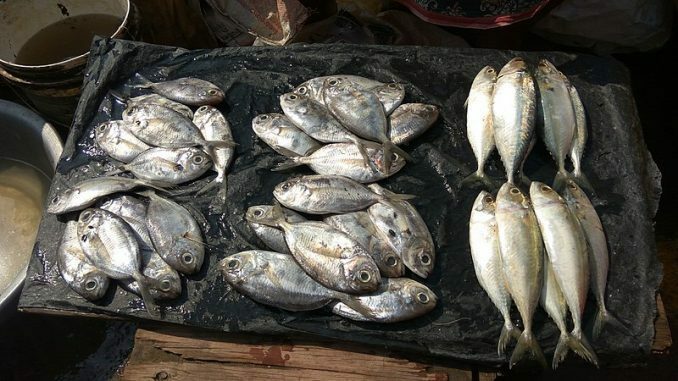 Fish traders find it cost-effective to use formalin, a carcinogen, instead of ice to prevent the decomposition of fish during transportation to distant markets. Consumer confidence has been hit hard and fish producers are having a bad time due to the import ban on fish in most of these states,” says Satish Sinha, associate director, Toxics Link, an organisation working for environmental justice and freedom from toxins, at a public lecture held by them on “How safe is our food?” recently in New Delhi. The country’s lackadaisical attitude towards food safety comes to the fore every time there is an incident like the recent one on the presence of formalin in fish. Antibiotics in poultry, pesticides in vegetables and genetically modified (GM) food are other areas that always have the food inspection authorities in a tight corner. The release of a recent study by the Centre for Science and Environment (CSE), a research and advocacy body, has sparked a debate around the country on the risks of genetically modifying our food. India, like most countries in the world, has set stringent regulations for approval and labelling of GM food. The ‘foreign’ DNA in the GM food can lead to various health risks such as toxicity, allergic reactions and more. So far, no crop but Bt cotton has been allowed for cultivation in India. “The study says that though the GM processed food cannot be sold or traded in India without the government approval, it is present illegally on a large scale and also sold, which makes it easy for it to get into our food chain. The study blames India’s health and food regulators for allowing this to happen,” says Kajal Debnath, head (regulatory affairs), Mother Dairy. “The Food Safety and Standards Authority of India (FSSAI), the apex food regulator has been negligent in regulating the GM food and also in curbing its illegal sales. Its draft regulations on the GM food labelling are weak and impractical to implement,” the study says. It also points out that the FSSAI must set necessary approval processes, make stringent labelling standards, set up laboratories to check for GM foods and take action against those responsible for bringing such foods illegally into the market. In India, the FSSAI is responsible for the formulation and enforcement of food safety standards. The Food Safety and Standards Act, 2006 is the primary law that regulates food products and sets the code of conduct for food companies. Around 90 percent of the food products available in the market have reached there after meeting clear FSSAI specifications like the nutritional value, shelf life, expiry date, vegetarian or non-vegetarian stamp and the FSSAI logo with the licence number. The standards given in the Act, however, are confined to manufacturer standards. Here is the problem. The quality of food products and their safety are mostly decided at the primary production stage itself like say agriculture, which is unregulated. “The FSSAI hands are tied as it does not cover primary production. This means that raw grains, vegetables and fruits that we consume or are used in the production of processed food are outside the purview of the FSSAI,” says Mohammad Amir, the technical officer (Standards Division), FSSAI. “All aspects regarding proprietary food regulations have been clarified by the FSSAI through a notification in January 2016. The food business operators can consult it to clarify any doubts about the standards, definition, ingredients and additives used, licensing and labelling requirements in proprietary foods,” says Amir. “The problem about food safety regulation is that it falls in the concurrent list and is under the purview of both the state and the Centre. The food safety compliance by the states has been a weak area in the absence of key infrastructure and capacities to put in place a proper implementation and monitoring mechanism. A regulatory body like the FSSAI which expects self-compliance by the businesses is left with no teeth as a result,” says Ashim Sanyal, the chief operating officer of Consumer VOICE, an international NGO working in the field of consumer awareness and education. The state’s failure to set up an effective food safety regime and ensure compliance verifications need to be dealt with to bring about consumer confidence on food safety. “The consumer only wants that the claims on the labels, leaflets and advertising related to all types of foods provide correct information on the constituents and the purpose of the food, along with detailed instructions and precautions for use,” says Sanyal. “The food, before it ends on our plates, goes through a long process and can, at any point during this process, get contaminated. 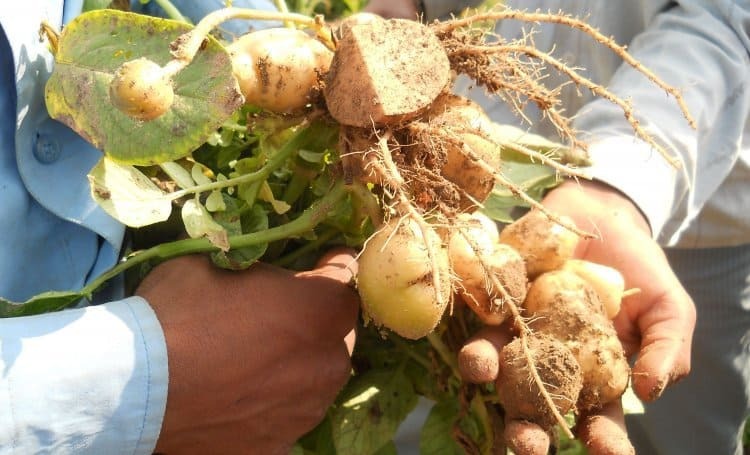 The quality of water has a definite impact on the quality of food,” says Sinha citing the case of a Toxics Link study on the ill effects of the use of wastewater in agriculture and the widespread presence of pesticides in vegetables. Though strict safety standards are prescribed for water used in the food industry, it is difficult to ensure compliance with the Bureau of Indian Standards specified standards as well as the potable water standards of the FSSAI. The water used in the food processing industry is expected to follow the standards as per IS: 4251. The food industry is required to do additional testing of water quality standards over and above the tests done by local bodies like municipal boards. A recent study by Arghyam points to the fact that onsite sanitation systems are a source of microbial contamination in groundwater. When wastewater from other sectors like urban sewage water is used in peri-urban agriculture without adequate treatment, it can lead to significant public health risks. For example in Delhi, where despite a ban, farmers have been using the water from the Najafgarh drain that empties into the Yamuna river for irrigation of vegetables. Sewage-based farming is cheap and reliable and farmers resort to it for its high nutrient value which reduces the need for fertilisers. This water is likely to have toxic wastes like pesticides, heavy metals and organic pollutants apart from microbial contaminants. This contaminated water is being used in growing foods, jeopardising the health of consumers. The inability to enforce appropriate safety measures only adds to these woes. “To address the issue of food safety, the surveillance and monitoring need to be strengthened by setting up more well-equipped testing laboratories with qualified manpower, equipment, and materials,” says Sanyal. An estimated 600 million—almost one in 10 people in the world—fall ill from eating contaminated food and 4,20,000 die every year, as per estimates of the World Health Organisation. 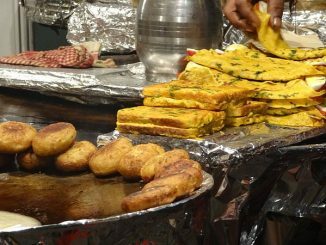 “Microbial contamination and foodborne illnesses are on the rise in India and we need better outbreak surveillance and quicker identification of illnesses linked to food. It is important that we effectively implement the existing food safety laws to deal with the problem. It is often difficult for the numerous governmental bodies and ministries to work together in dealing with food safety issues. So better coordination and convergence among the agencies is needed for the effective implementation and monitoring,” says Debnath. “People need to be made aware of certain steps like washing vegetables thoroughly that they can take to reduce and even remove some forms of contamination. At the same time, farmers have to be taught about good practices in agriculture,” says Debnath. “To promote habits of eating right and safe food, the FSSAI has launched a national campaign, The Eat Right Movement with health and wellness centres to integrate its existing initiatives ‘Safe and Nutritious Food’ (SNF) at schools, home and workplace. The toolkit will serve as a supplementary engagement resource to be mainstreamed in the national nutrition and public health programmes,” says Sanyal. 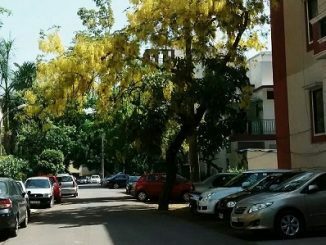 Delhi divided: Will new parking management plan reduce traffic congestion? Park your car in front of your home and pay. Pay more during peak hours, and many other rules. Some decry it as plain unfair, others feel it’s the only solution to traffic and pollution. 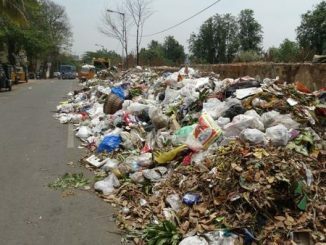 Ironically, many Delhiites are not even aware that this is in force!